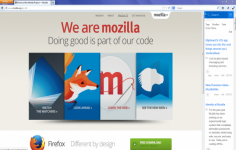 Firefox is one of the most important browsers that exist at this moment. 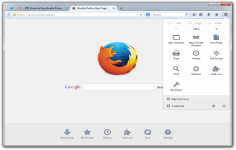 It is no longer a secret that the browser provides a simple and highly customizable interface. A multitude of eriches the browser such as the possibility of reading RSS feeds, personal navigation or greatly improved in recent drafts Add-ons Manager. Also the user can restore the last browsing session and quickly access his history, download list, menu extensions or brand pages. The configuration settings are also available on this page and the synchronization module. The display language for the Firefox application UI is now changeable in the Options page. Added Windows playback support for the AV1 video codec. Added support for the WebP image format. 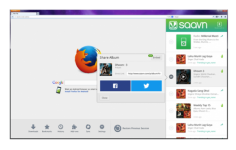 Firefox on Windows can now be installed using an MSI installer. Firefox now supports Handoff on macOS to continue browsing from your iOS device to your Mac. On Linux, tabs can be switched by scrolling in the tab bar. Updated the Content Blocking section in the Privacy & Security Options page and in the Control Center to simplify blocking options for users. Enhanced security for Linux, Android, and macOS users via stronger stack smashing protection being enabled by default. Firefox can now be set to warn when exiting, even when configured to automatically restore the session on the next launch. Memory usage is also now reported for each resource visible in the updated Task Manager page found at about:performance. Added a new Flexbox inspector tool to detect and highlight Flexbox containers and debug Flex items' sizes.